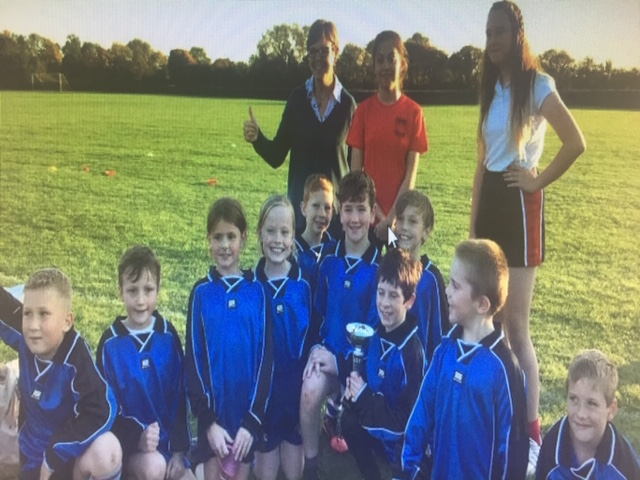 On this glorious autumn day all the local schools came to Hugh Sexey's to compete in the tag rugby festival. All the youngsters who participated and represented their schools should be very proud; the skills and team plays showcased on the day were fantastic. It was a close competition and Mark School just won by 1 single point. Congratulations to Mark (see photo). The Year 8 Sports Leaders led the festival and did some coaching with the schools who didn't have a game. They took the children off and did some skill zones with them, to help them improve ready for their next game. The Sports Leaders were all superb at doing this. Special mention must also go to Will Creaser and Alex Scott for refereeing the games - they did an excellent job. Well done to all those involved - pupils and Sports Leaders- it was a great afternoon of rugby.